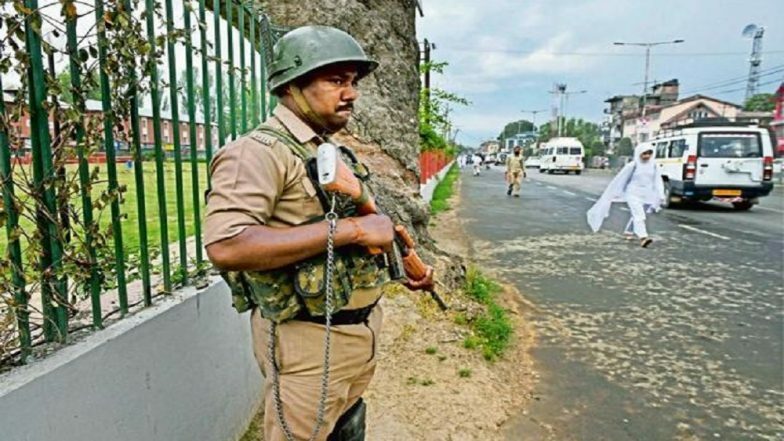 Srinagar, April 17: A day before the Valley goes to polls in second phase of Lok Sabha elections 2019, the insurgents - who have called for a complete electoral boycott - staged an attack in South Kashmir's Pulwama. The militants hurled grenade at a Central Reserve Police Force (CRPF) camp based in Nowdal area of Tral in Pulwama district. One CRPF personnel was injured in the grenade attack, reports said, adding that a search operation has been launched by the security forces to nab the gunmen. Jammu & Kashmir: SDM on Lok Sabha Election Duty Allegedly Assaulted by Army Personnel. The attack on CRPF camp could fuel anxiety in neighbouring Srinagar, which goes to polls tomorrow. The contest features the candidature of incumbent MP and National Conference chief Farooq Abdullah, who is being challenged by PDP's Agha Syed Mohsin and BJP candidate Sheikh Khalid Jehangir. The seat witnessed the lowest ever voter turnout in the 2017 bypolls, when only 7.2 per cent of the registered electorate came out to cast their mandate. The militant attack in Pulwama is also reminiscent of the fatal terror strike on February 14, when a suicide bomber rammed into a CRPF convoy in Pulwama, killing at least 40 security personnel. Responsibility of the attack was claimed by the Pakistan-based Jaish-e-Mohammed (JeM), leading to a further deterioration of ties between New Delhi and Islamabad. 12 days after the attack, the Indian Air Force (IAF) dropped bombs on the largest JeM camp in Balakot.